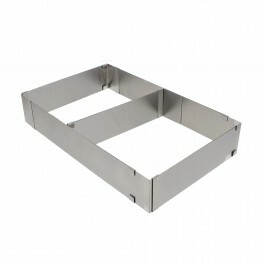 Extends from 7-1/4"x 11" to 13-1/4"x 20-3/4"
Great for cakes, layer cakes, tiramisu, mousse, quiche, pizza and more! be used to separate different foods or to make smaller portions of baked goods. The form extends from 7-1/4"x 11" to 13-1/4"x 20-3/4"
long! Great for baking for youself or all your friends and family! 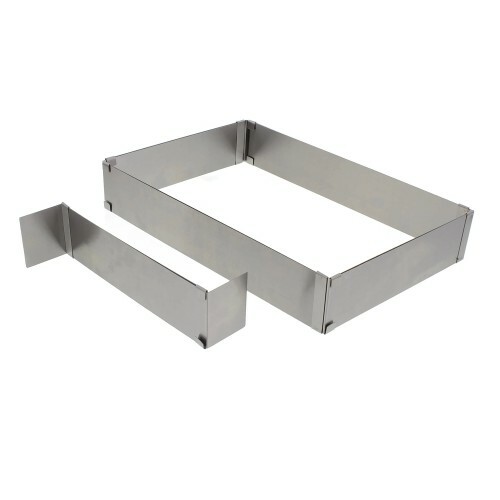 Extending baking form extends from 7-1/4"x 11" to 13-1/4"x 20-3/4"